There are very few repro vintage shops that I really like. The main let down is fabric patterns (and materials on some occasion) more reminiscent of a 1980’s Neighbours wedding ceremony and the lack of authenticity of style. 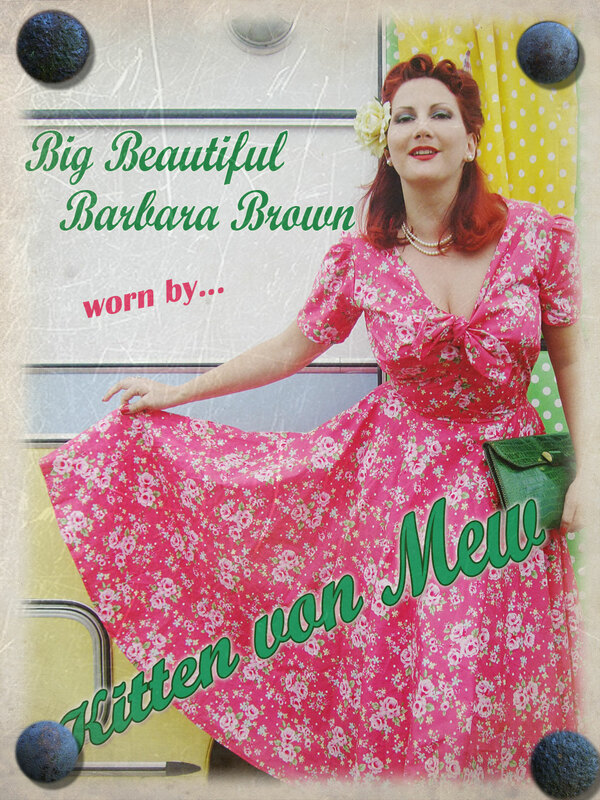 Everyone knows what a fiend I am for Heyday Online, but I also wanted to draw your attention to Big Beautiful Barbara Brown, who also makes 1940’s and 50’s style women’s clothing. I was lucky enough to receive a satin playsuit and a GORGEOUS floral dress that has a circle skirt and tie at the chest. There are a great choice of fabrics and colours and on some things you can choose your own from swatches on the website, making your item rather bespoke! You can select the top half of the play suit and then the bottom half, just for £50! Craaaaaazy! 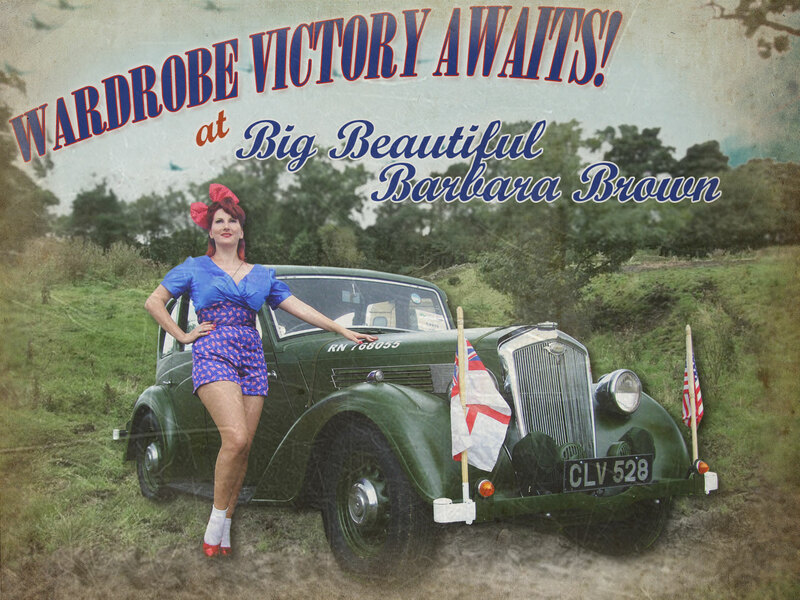 Posted in Fashion and Shopping and tagged 40's dresses, 40's playsuit, 40s fashion, BBBB, big beautiful barbara brown, heyday online, kitten von mew, kitty meow, modelling, patriotic playsuit, vintage fashion, vintage girl, vintage pinup, vintage repro, WWII fashion. Bookmark the permalink.